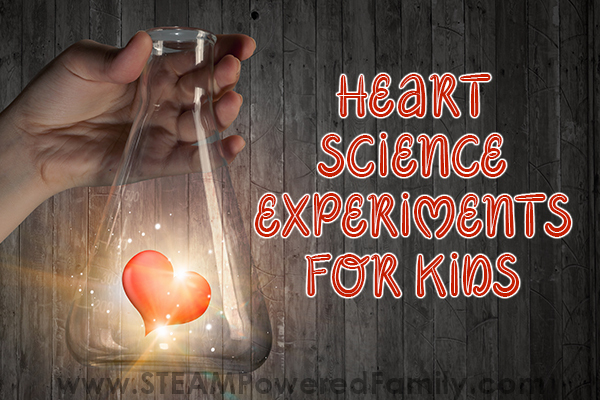 Heart experiments that will inspire a love of science! Chemistry, physics and biology experiments with a heart theme so kids can embrace hands on learning. Sometimes it’s about biology, other times we just want to bring a little loving feeling to our science, but every time we do a science experiment that involves hearts it is always fun learning. Here I have gathered up some of our favourite science experiments that involve hearts. Because we always ‘heart’ science. 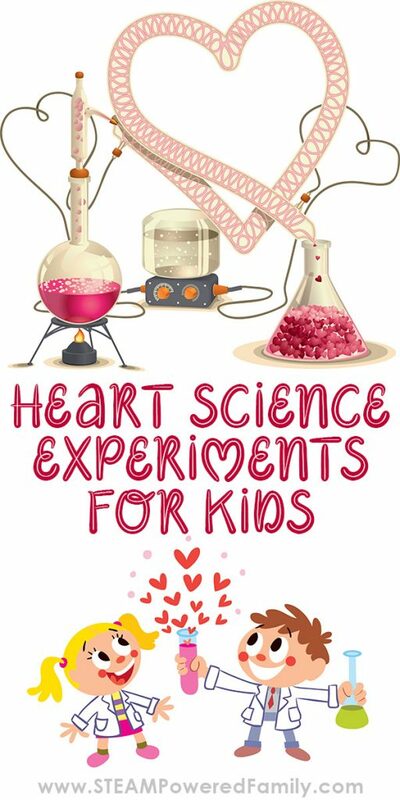 Perhaps Valentine’s Day day is coming up or maybe you just want to show your love of science with some heart science experiments. Or maybe you are like me and have a heart condition or know someone with a heart condition, and want to learn more about the heart and it’s functions. Either way I think having a fun theme for your experiments is always a great way to get kids excited and into a little groove with their learning. We all need a break from the worksheets and book studies and these heart science experiments will provide a little fun hands on exploration. Here I have gathered up a number of different heart experiments. From more advanced biology experiments where we learn about the heart structure and how it functions. 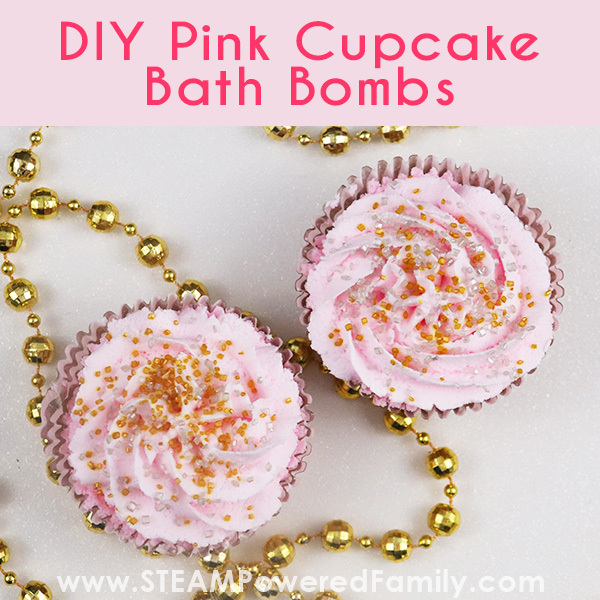 To completely different physics and chemistry experiments that just happen to have a heart theme. No matter which experiments you choose to do from this list, it’s a great way to show just how much you love science! 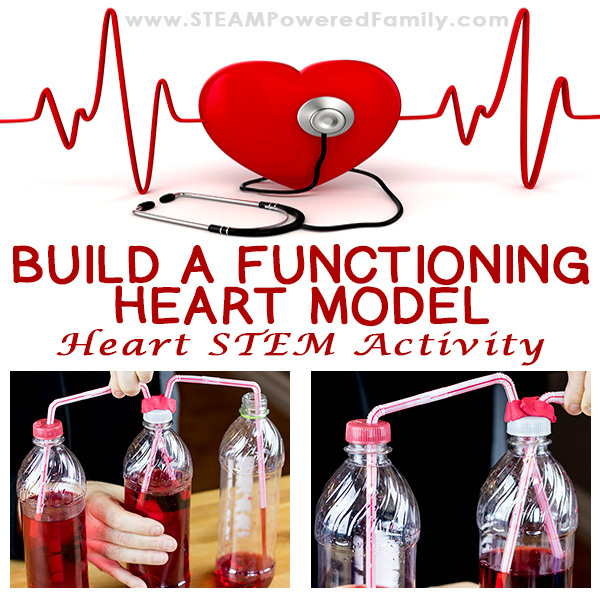 Building a Functioning Heart Model – In this experiment we built a model of the heart using pop bottles so we could see how the valves work between the cavities of the heart. It is a very hands on, fun experiment that allows kids to see how the valves function and blood flows through the heart muscle. DIY Stethoscope – A great way to learn about the heart is to listen to it! With this STEM project kids build their very own stethoscope and get to listen to their heart (or the heart of their friends or pets) and hear it in action. Once they build their stethoscope, have them listen to different hearts, then them listen to their own while resting then after running. Hearing the differences is a fantastic way to learn about the heart. 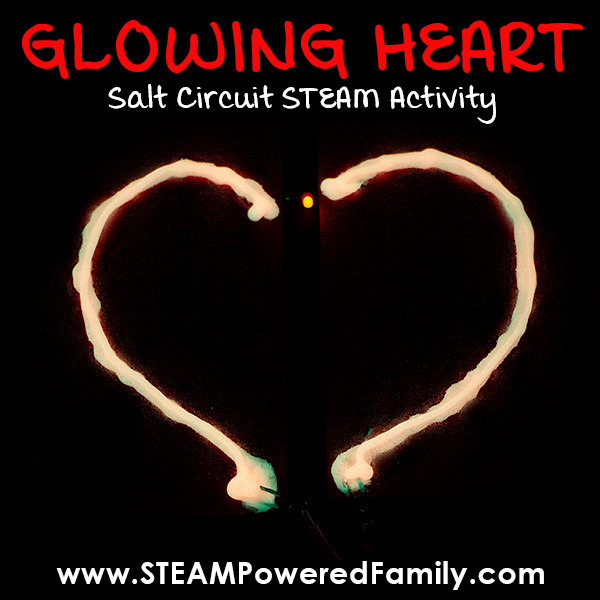 Glow Heart Circuits – Build a glowing heart circuit that lights up an LED. 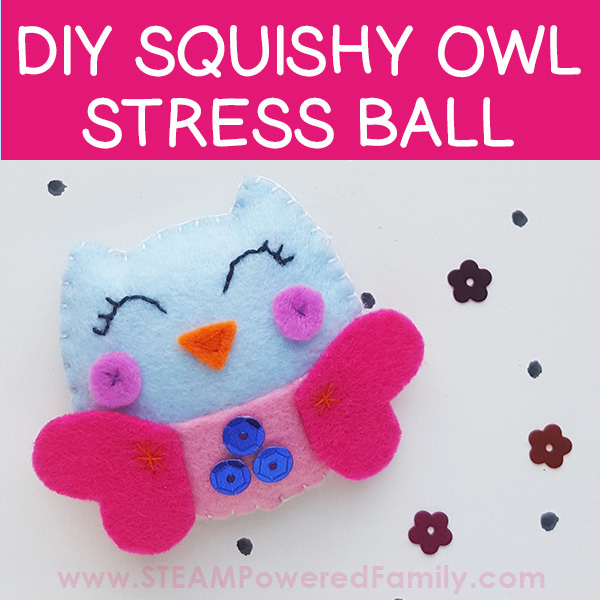 This fun and simple circuit activity is a great for elementary to middle school kids. 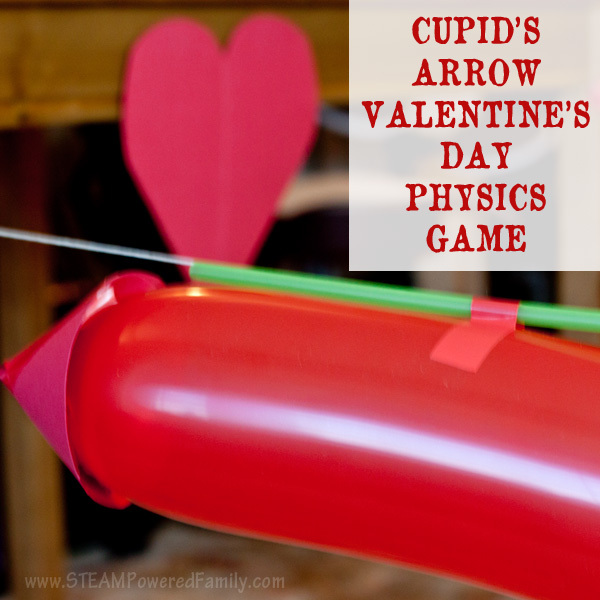 Cupid’s Arrow Balloon Physics Challenge – This fast paced and exciting activity has kids learning about physics as they race their cupid’s arrow balloons and try to pierce the heart. 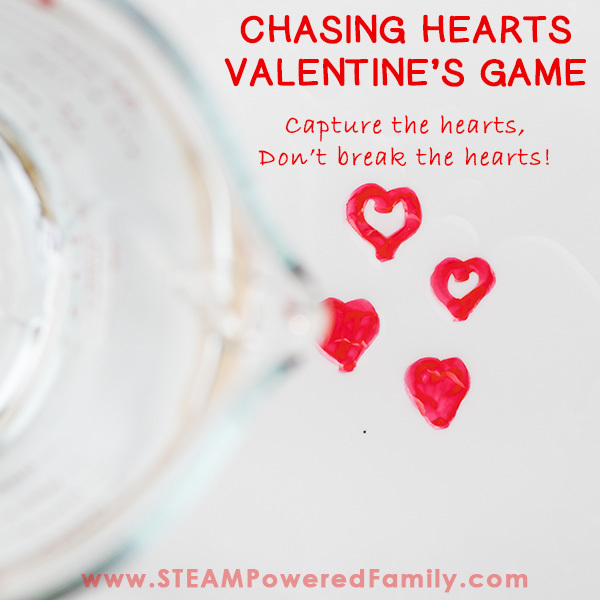 Chasing Hearts Game – This is a simple challenge with a BIG wow factor! Kids will love watching their hearts float about, but then the challenge really starts as they try and chase their hearts into a goal. 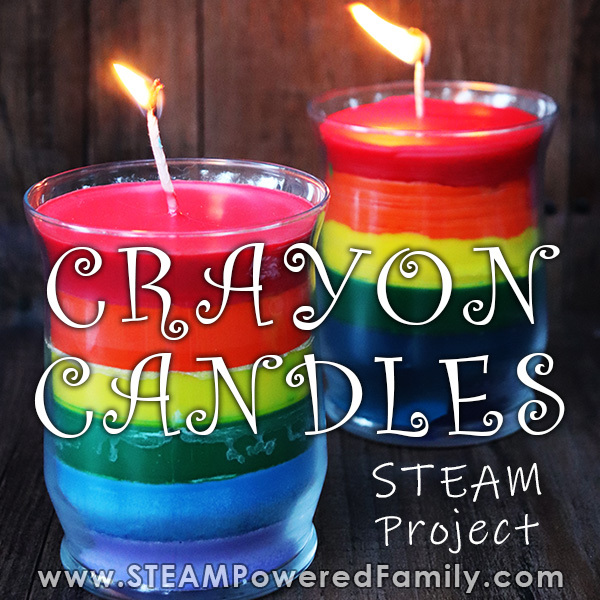 Balancing Hearts – This STEAM activity is a wonderful combination of art and engineering. The goal is to get gravity to cooperate with you as you miraculously balance your heart structure. 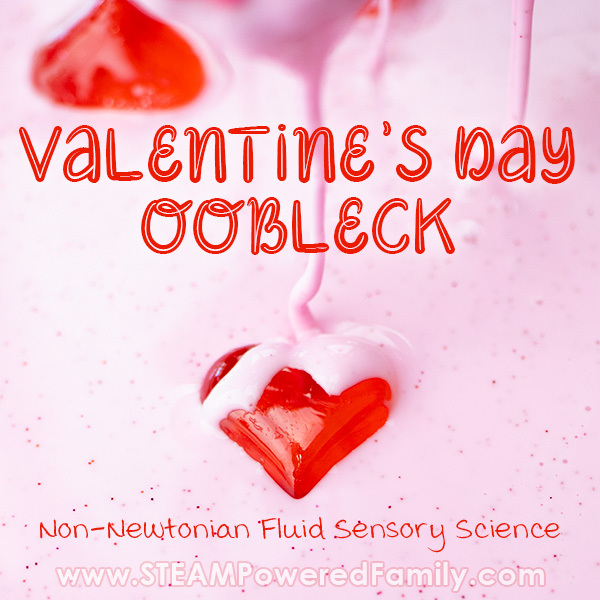 Heart Themed Oobleck – Exploring with this non-Newtonian Fluid is a fascinating way to learn about fluid dynamics. This special edition Oobleck is heart themed. 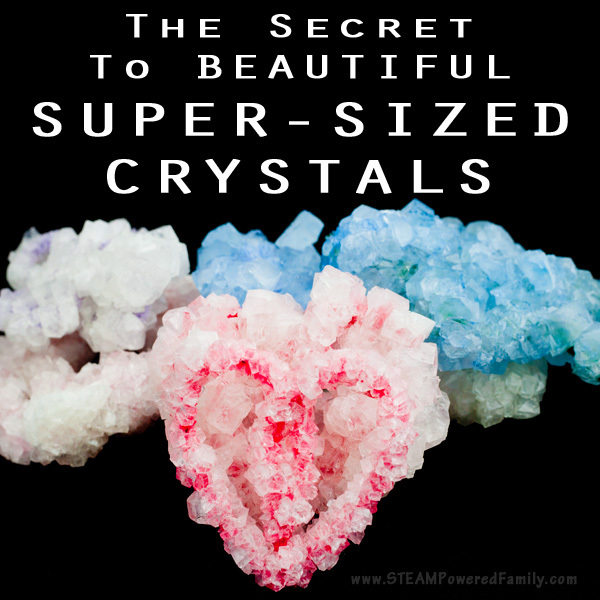 Giant Crystal Hearts – The secret to growing large crystals is the same in the lab as it is in nature. Experiment with these tips and see how large your crystal heart will grow. Fizzing Hearts – A fun twist on our Hatching Dino Eggs experiment, this time with a heart theme! 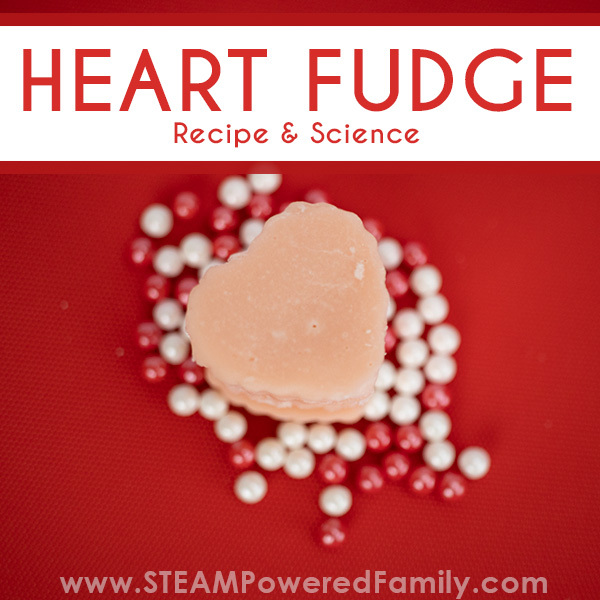 Homemade Heart Fudge – Learn the science of crystallization in this kitchen science project. The result is the most delicious fudge. Shaped like hearts for a little extra love. 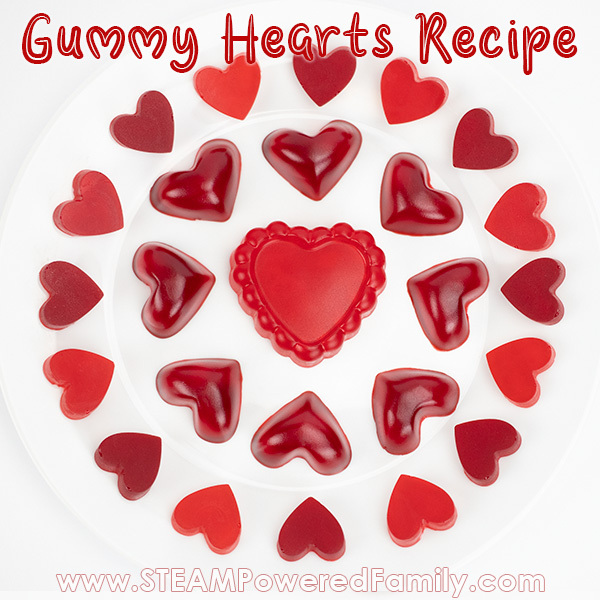 Heart Gummies – In this Kitchen Science project we learn about polymers as we make delicious candies. Heart Milk Magic – In this activity we explore a little colourful chemistry with a fun heart twist. This is a classic experiment kids love! Have fun exploring heart inspired science!